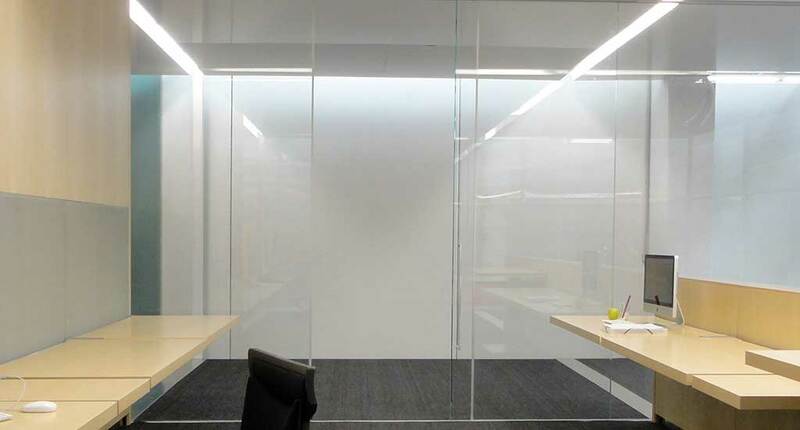 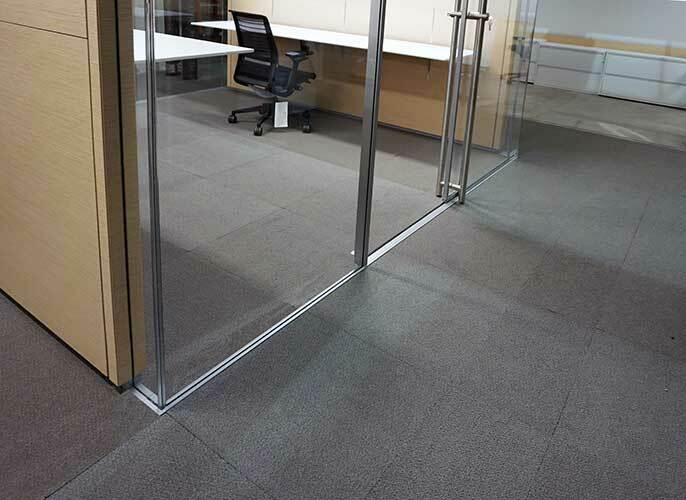 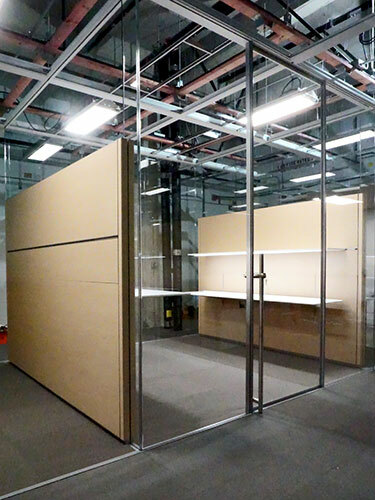 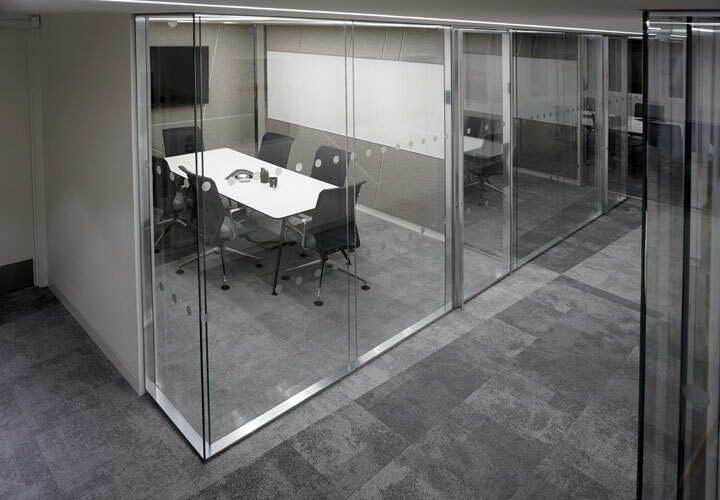 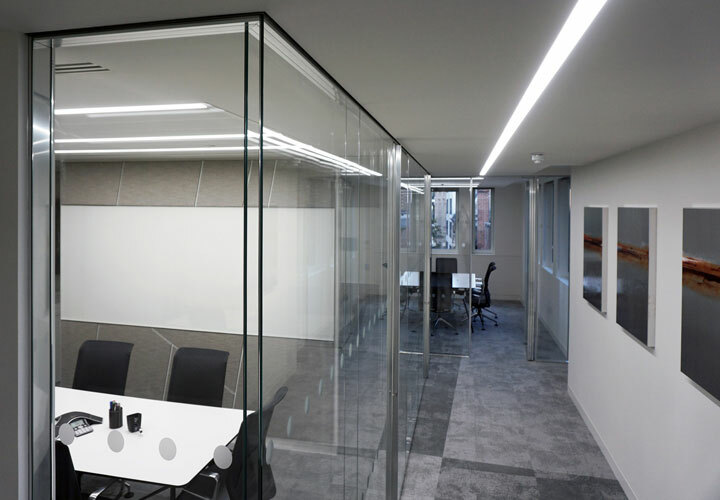 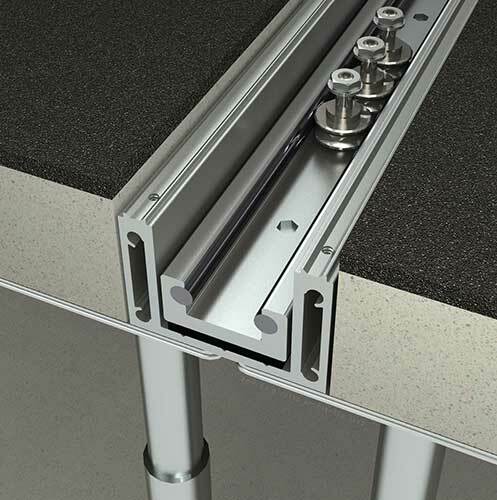 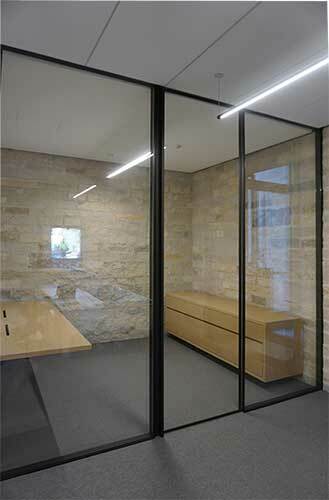 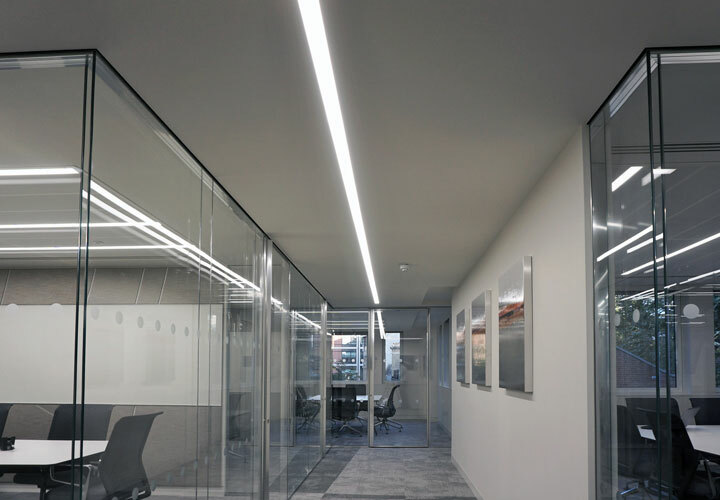 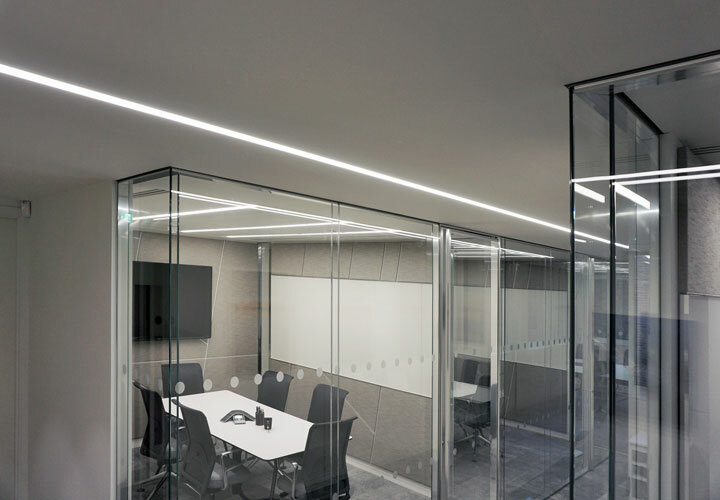 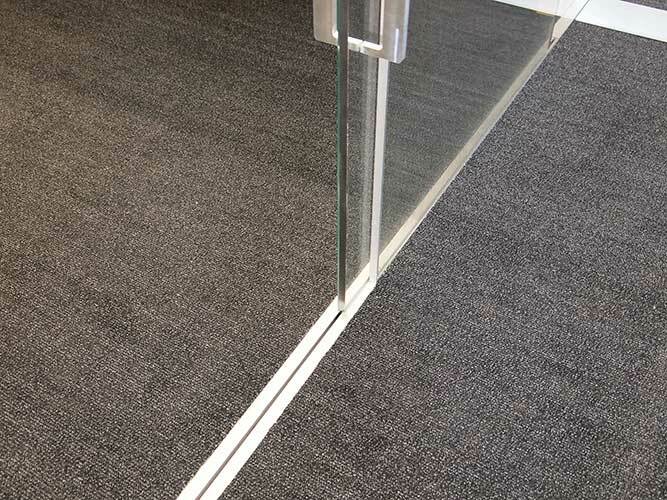 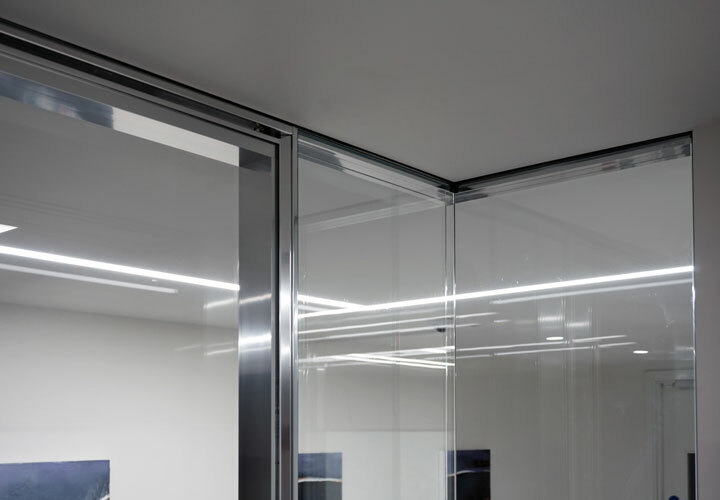 This approach requires full coordination with floor and ceiling packages and can achieve the highest degree of transparency by recessing the partition tracks, both top and bottom. 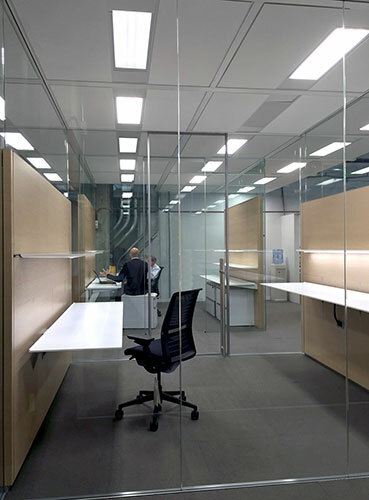 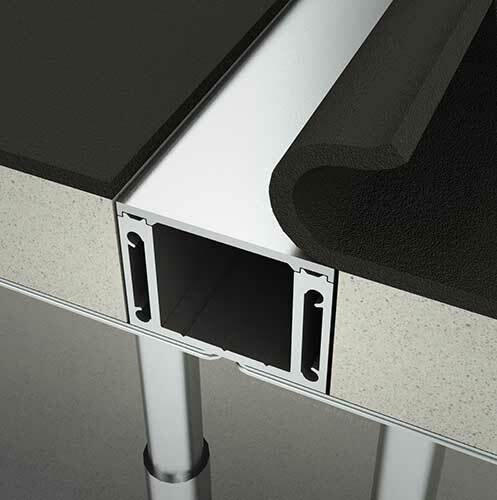 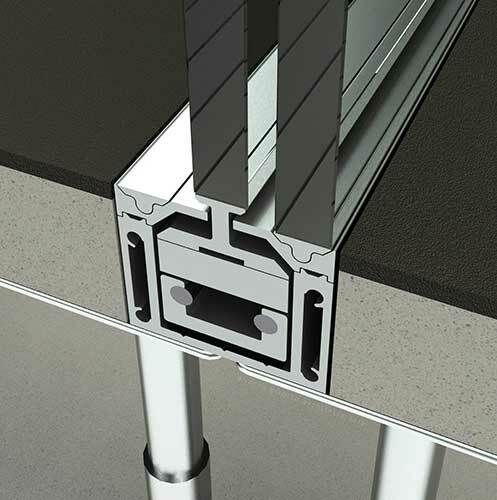 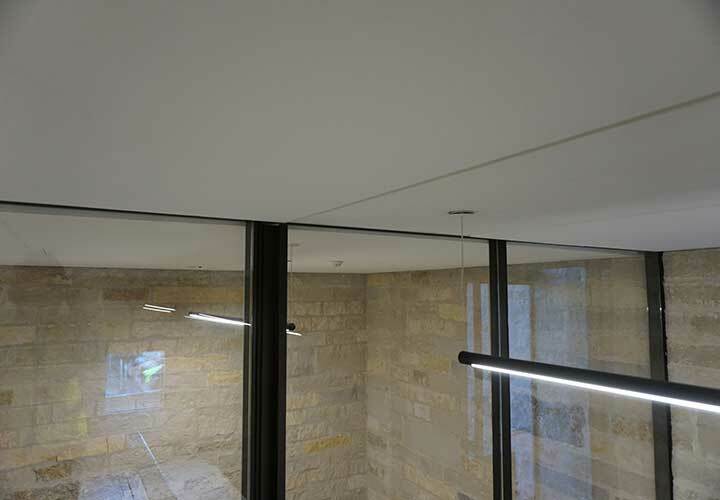 The ceiling and floor systems would be engineered to provide the maximum level of flexibility for both partition and furniture integration, following the building grid criteria in their modular approach. 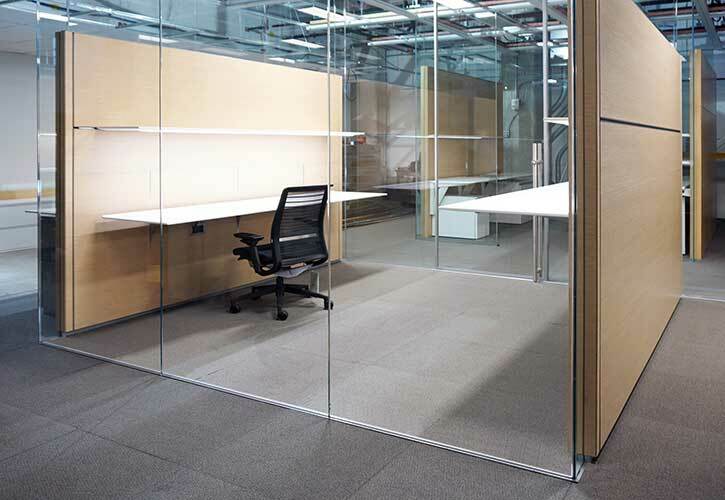 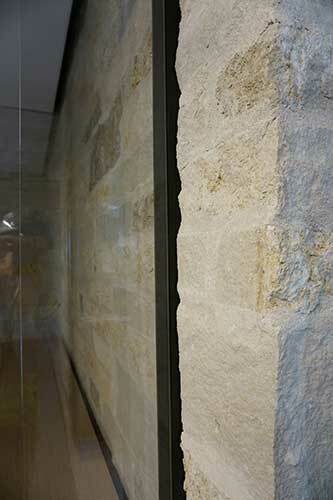 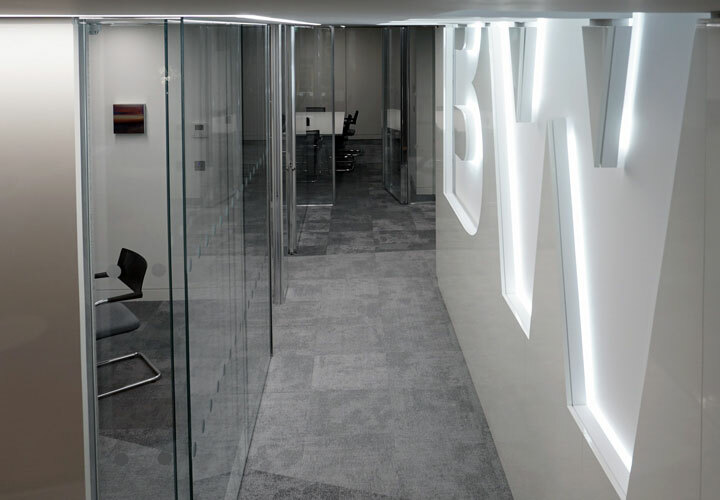 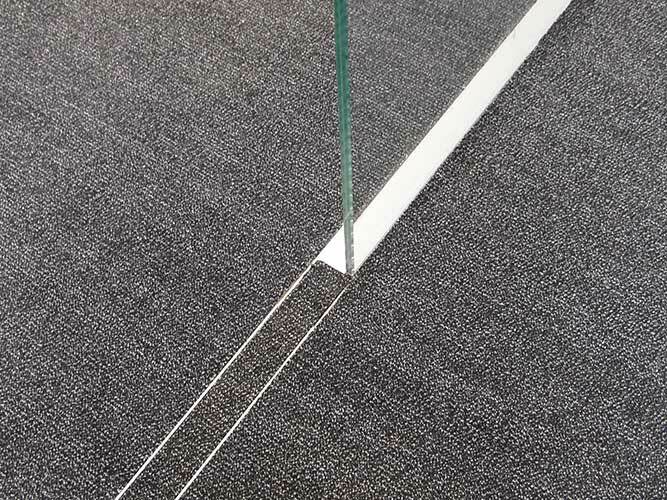 Walls can be full height in glass and solid finishes, or part height to create low working walls with uninterrupted lines.